Joey and Chandler. Troy and Abed. Tyrion and Bronn. Seth and Evan. The list of iconic fictional bromances goes on and on, and for good reason. Most guys relate to—and aspire towards—having a solid male friendship in their life. 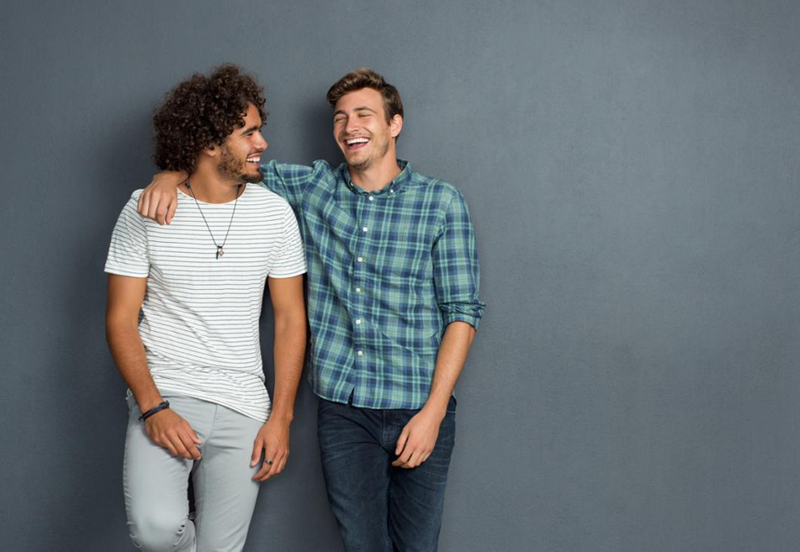 A study published in Men and Masculinities last year even found that young men get more emotional satisfaction out of bromances (close, heterosexual friendships with other males) than they do out of romantic relationships with women. The study was pretty small with a limited sample size of only 30 heterosexual men in their second year of college in a sports-related major. All the men had been in a romantic relationship before or were currently, and all but one of them was white. Although the study is only a start, it highlights a trend that has been steadily building over the years. There may have been a time when men didn’t want to be too obvious about their close male friendships, but that no longer seems to be the case. The researchers noticed that study participants seemed more devoted and committed to their bromances. That cultural shift could have implications for traditional male-female relationships in the long run if more and more men choose to avoid romantic relationships in favour of bromances. For example, one study participant said, “Lovers are temporary. A bromance can last a lifetime.” That attitude may be related to the state of dating culture—or more accurately, hook up culture—these days. It’s easy to find someone to go on a date with thanks to swipe apps and the mentality that there’s always someone new around the corner. The same “grass is greener” mentality can’t be as easily applied to friendships. People love a good bromance in TV and movies, but a real life bromance is just as endearing. How many BuzzFeed-type articles have you read about Barrack Obama and Joe Biden and their close friendship? Celebrity besties like Ben Affleck and Matt Damon and Justin Timberlake and Jimmy Fallon get their fair share of attention too. Just like a romantic pairing could be seen as a power couple, so can strong male friendships. Relationships in general are such a huge part of our lives that it only makes sense that men would want male friends they can really count on. Not to mention, women like guys who are capable of building and maintaining connections with people. Women also want guys who care about people other than themselves and a longstanding bromance is hard evidence of that. At one time, it might have been considered bad form to put your friends ahead of your romantic relationship, but these days, it’s almost expected. So go ahead and put your bromance first. It’s definitely worth it.